When you find out you have roaches, you want them gone – like yesterday. 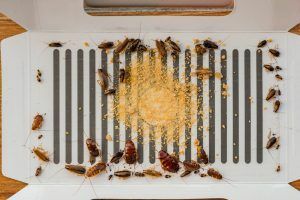 While you’ll find plenty of repellents and other remedies to prevent roaches, traps are the best way to send these critters packing their bags. We’re going to show you how to make a homemade roach trap, so you can start getting rid of your bug problem today. And if you’re not a big fan of taking the DIY approach, we’ll also share some commercial traps that work well to stop your roach infestation dead in its tracks. How Do Cockroach Traps Work? Roaches: one of the homeowner’s greatest fears. Well, maybe roaches may not be your greatest fear, but many people would do anything to get rid of them. If you’ve seen a roach in your home, you may want to use a cockroach trap to increase your fighting chances. Traps work to help you monitor the places where you think roaches might be coming from before you release your stronger, roach-killing weapons. 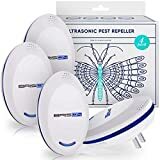 These traps work to catch roaches even when you’re not around, since these bugs often like to come out when it’s dark. This is what makes them so difficult to eliminate. 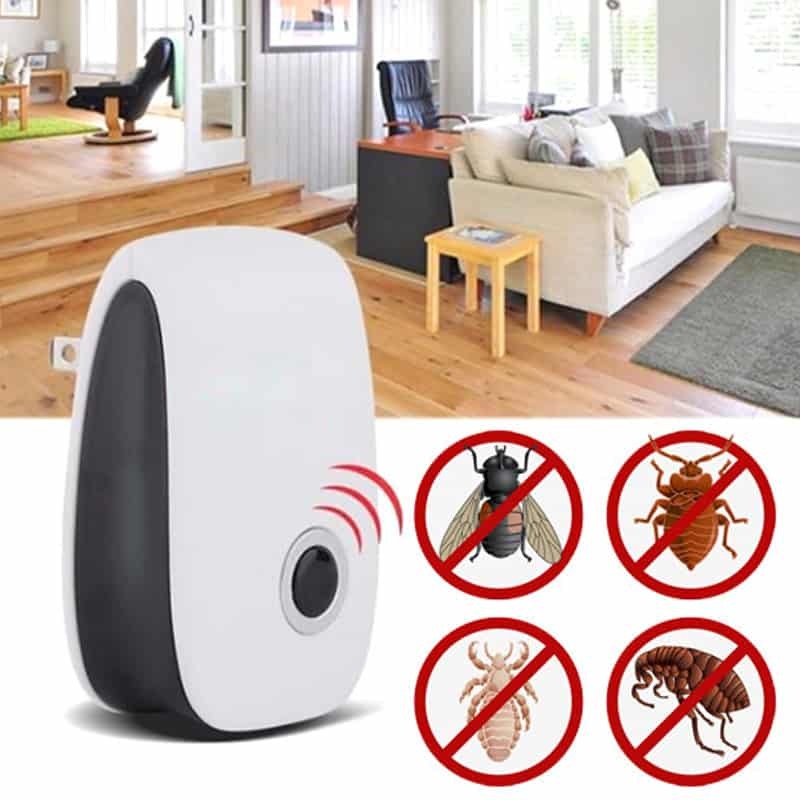 By using a cockroach trap, you can keep an eye on your problem and even have a visual representation of your infestation. You can capture cockroaches as well to see where they’re coming from and what kind of cockroaches you have. Some will use a mechanical action, while others have a sticky surface, although it’s even possible to make your own traps. Keep in mind that they will not eliminate your cockroach problem though. Sometimes, DIY methods just don’t do the trick. If you’re dealing with a bigger infestation, you may need to turn to commercial traps to get the job done. 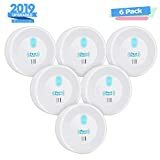 These products also work a little faster than homemade traps, so you can get rid of these pests sooner rather than later. When you want to get rid of roaches fast, you don’t have time to waste on subpar products. We’re going to share four of the most effective commercial roach traps you can buy. The trap is still the same – it’s the size of the trap that’s the main difference between the two. The main ingredient in Combat’s trap Is Fipronil, which kills roaches either by ingestion or by contact. The roaches are attracted to the trap, and take it back home with them to poison the rest of the nest. Combat is the only brand that can control roaches for up to three months, and all of their traps are child-resistant. Click here to learn more about Combat’s large roach bait. Click here to learn more about Combat’s small roach bait. Both options come with multiple traps, so you can keep the roach population under control. Prefer not to have roach motels lying around your house? We don’t blame you – and Combat understands. Their roach killing gel is a great alternative to the conventional trap, and it kills the nest, so you can tackle the problem at the root source. Each package contains 2 ounces of gel and a syringe for easy application where roaches frequent the most. The great thing about this gel is that you can apply it precisely where roaches hang out. And if you have kids or pets, you can make sure that the gel is applied to places they don’t go, like under the cabinet, behind the stove, or in cracks or crevices in the wall. 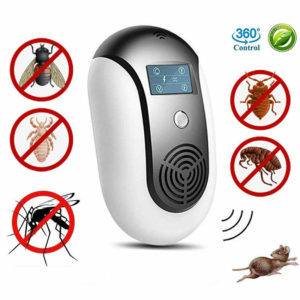 The gel works on both small and large roaches, and it starts working in hours ­– not days. Raid is arguably the most famous bug spray brand on the market, but for roaches, they also make a gel that’s similar to what Combat offers. This gel kills all household roaches, and it destroys the nest, too. Unlike homemade traps, this product starts working in hours – not days or weeks. And the gel doesn’t ooze or drip out of the applicator, which can sometimes happen with other similar products. The trap is inactive until a roach eats it, and the applicator tube is so easy to use. The active ingredient in Raid’s roach gel is Indoxacarb. Roaches are attracted to the bait, ingest it and take it back with them to the nest where they’ll poison the other roaches. Hot Shot’s Liquid uses a food and water formula that’s irresistible to roaches. These traps are your classic roach-motel-style trap, but they continue working to control the roach population for up to three months. You’ll receive several bait stations, so you can attack the infestation from all areas of your home. 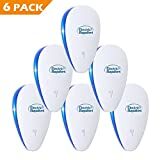 Not only does this fogger kill roaches, but it also kills the eggs they carry and it kills the roaches where they breed. Roach nests are destroyed, and the formula starts working within hours thanks to the active ingredient: Dinotefuran. Roaches are omnivorous creatures, and they aren’t particularly picky about what they eat. By nature, these bugs are scavengers that will consume just about any organic food source they can get their grimy hands on. Because roaches eat whatever is around them, baiting them is pretty easy. Everything from peanut butter to bread, sugar and even dry dog food can serve as food sources. Tip: Roaches can survive a week without food, but they can only go a few days without water. Setting traps with dry food will cause them to dehydrate and die quicker. Feel free to check out our list of best baits available. Not sure where to buy roach trap? Most home improvement stores sell them, but you may also find traps in big box stores and online. Online stores usually have the best prices, and the bait is shipped right to your front door in a discreet box – no one has to know about your roach problem. 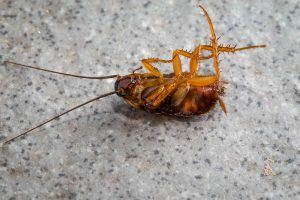 If you’re on a tight budget or would rather avoid sprays and other commercial poisons, a DIY roach trap may be the right choice for you. There are numerous types of homemade traps, but some are better than others. Some traps actually kill the roaches, while others do exactly what the name says – trap them. Like any other trap, a lure is used to attract the roaches. Once lured in, roaches either get stuck and can’t move, or they die from poisons. Do roach motels work? Yes, but they may not necessarily kill the nest, so they can take a while to completely rid your home of an infestation. As mentioned, you can’t get rid of your cockroach problem with cockroach traps. However, you can use them to see and track the problem. You can go down to your local home improvement store or even online in order to buy some commercial cockroach traps, but it’s also possible to make your own. With the right trap, you can begin your fight against your cockroach invaders. This trap won’t kill the roaches, but it will trap them in a bottle where they will eventually dehydrate or starve to death. Apply grease to the inner edges of a can or bottle, and place some delicious roach food in the bottom of the greased container. Roaches will be attracted to the bait. The grease will prevent the roaches from crawling up out of the bottle. The food or grease won’t actually kill the roaches, but they’ll be stuck in the jar or container. If you leave them be, they will eventually starve or dehydrate to death. You can also use this method to gather a large percentage of the roaches in your home, and annihilate them at once by using an insect spray. Another variation of this method is to use a soda bottle instead of a regular container. Trim off the top half of the soda bottle using a sharp knife. Please be careful when you do this, and don’t let kids attempt to cut the bottle. Apply Vaseline or grease to the inside of the bottom half of the bottle. Add the bait to the bottom half of the container. Flip the top half of the bottle upside down, and place on top of the bottom half of the bottle to create a funnel. The roaches will make their way into the funnel, fall down into the bottom of the bottle, and never be able to crawl back out. If you find that roaches are escaping from your homemade jar trap, the plastic soda bottle method may be the better option for you. 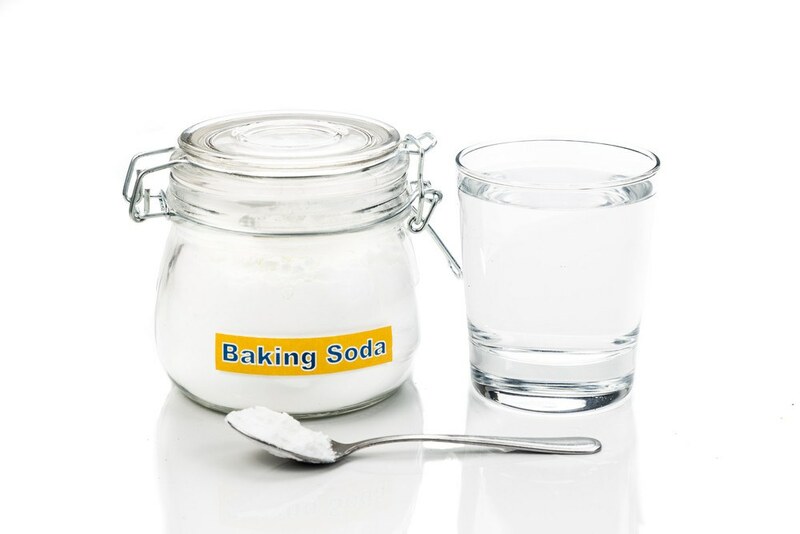 There’s a good chance you have baking soda in your kitchen at home. This natural substance has a hundred and one uses, and now you can add roach killer to that list. Mix equal parts baking soda and sugar. 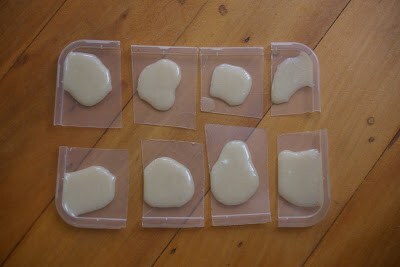 Add just enough water to create a paste. Apply the paste to areas where roaches frequent, like counters, cabinets, under the sink, beneath the stove, etc. The baking soda will stick to the roach’s feet, and he’ll bring it back with him to the nest. The powder will kill the roaches slowly, but it is highly effective and worth the patience. You may need to reapply the paste a few times a week until all of the roaches are dead. Boric acid is one of the most effective natural roach killers. In fact, it’s been classified as an insecticide since 1948. The good news is that this powdery substance isn’t dangerous to humans (although you shouldn’t ingest it). Mix 3 teaspoons of boric acid, 3 teaspoons sugar and 3 teaspoon water. Grease the insides of a deep jar. Add the bait to a deep jar. Set the trap out where roaches frequent. When the roaches step through the bait, the powder clogs their pores and dehydrates them to death. It takes about two weeks to get rid of roaches using this trap. You can also apply this paste to the areas where roaches hang out – just like with the baking soda paste. But you’ll need to reapply often, and you’ll need to be careful where you place the paste. While not toxic to adult humans (at least not in small doses), boric acid should not be placed near kids or pets. In terms of traps that you can buy, glue boards are the most efficient traps out there. They’re very simple: a piece of cardboard with adhesives on top traps any cockroaches that walk on top of it. They struggle and usually die, with very few, if any, capable of escaping. To get the most out of your trap, it’s best to place it in a high traffic area. Keep an eye on where your roaches are coming from and use proper bait too. Placing just a little bit of food on the trap can attract a lot more of them than usual. In terms of homemade traps, it doesn’t get simpler than the duct tape trap. This works just like the glue trap by using an adhesive to catch roaches in place. It can be difficult to move after you set it, but it can be a simple and quick solution to get started on your roach problem. To set one, grab your roll of duct tape, choose your bait and set it up so that the roaches must step on the tape to eat the food. Any food that’s sweet or oily will work fine, which is why most people use onions or overripe fruit. Just make sure that the bait stays firmly on the tape, so that roaches will have to step on the tape to get to it. Put your trap in any high traffic area, like in the kitchen or in a dark corner or hole. From there, all you have to do is wait until you’ve caught some roaches. If you want a trap that’s easy to move around from place to place, the glass jar is a little easier to handle. Just grab an empty, medium-sized jar and take some petroleum jelly or Vaseline. Smear it generously on the inside of the jar underneath the opening where it curves outwards. This will keep the roaches from climbing out once they’re inside. Drop a little bait into the jar first but be sure not to put too much in there. If you have too much, the roaches might be able to climb up or jump out. You can also wrap the outside of the jar with some strips of masking tape to help the bugs climb in while the Vaseline keeps them from getting out. Try using a plastic or a glass bottle too for this trap. Just cut off the top section of the bottle to increase the size of the opening if the bottle is plastic. Roach traps are an effective way to get rid of these bugs, but you can’t just set them out anywhere in your home and hope for the best. You have to be strategic about where you set your bait, so the roaches find it and go after it. If you see the roaches, pay attention to where they’re hanging out, or where they scurry away to when you scare them off. Look for signs of roaches – feces, casings, strange smells. Place the traps in these locations, so the roaches can easily find them and take the bait. You might not have the time or energy to make your own cockroach trap, so what should you look for when you go out to buy a trap? The first thing you need to think about is what you want to achieve with your roach trap. If you’re killing roaches, think about the level of maintenance you’ll need to put into it. Usually, you’ll have to keep checking your trap every few hours in order to remove all the dead roaches. You also might end up attracting other bugs too, which is why you may want a trap that uses delayed action insecticide. 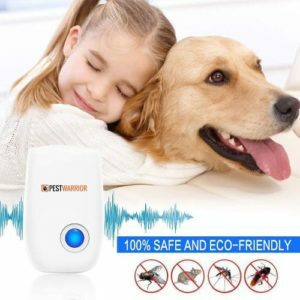 This spreads around the colony to kill many roaches, although this may not be great if you have pets. Traps are usually more suited for catching rather than killing roaches. By only catching roaches, you don’t have to worry about toxic ingredients in your home around you or your pets. This is a good way to check the number of roaches before you bring out the big guns. Do be aware that many traps that you can buy contain harmful or toxic chemicals. That’s why many people prefer to simply make their own traps. Either way though, cockroaches can carry diseases, which is why you should be careful regardless of your preferred trap. Always be sure to wear gloves when you’re cleaning out your traps and be sure to clean them out often. Make sure that those roaches are really dead before you toss them into the trash too. If you like to pour boiling water into the jar traps to make sure the roaches are really dead, be sure not to burn yourself either. Whether you buy commercial roach traps or make your own, traps are an important part of dealing with your roach problem. Use your traps to catch roaches or kill them but be sure to pick a type of trap that will work best for you. Check out traps you can make or buy in order to increase your fighting chances against these frightening little creatures in your home.